That “language is a systematic means of communication” is probably the most precise and unambiguous definition of “language” that our ears have heard. Language, however, is more than a means of communication and a cultural behaviour. To me, it is an active, living, animated, emotional, dynamic, and breathing entity, which characterizes us and is a “character” itself. What made me ponder over the latter (i.e. seeing language as a lively character) is the way I invest in maintaining the languages in my plurilingual repertoire. Let’s flesh this out. A question I have always wrestled with is: what do we actually do with our languages? This question is important because “language not only reflects who we are but in some sense it is who we are, and its use defines us both directly and indirectly” (Llamas & Watt, 2010, p. 1). From the perspective of language education, we often talk about four broad language skills (i.e., listening, speaking, reading, and writing). In my case, I have realized that two of them, namely the receptive skills of listening and reading, have been sharpened up across my four languages, largely through reading and listening to short stories and novels. In other words, while each of the languages in my repertoire takes on different or similar tasks to others, they have a lot in common as I use them to read and listen in a space called literature. 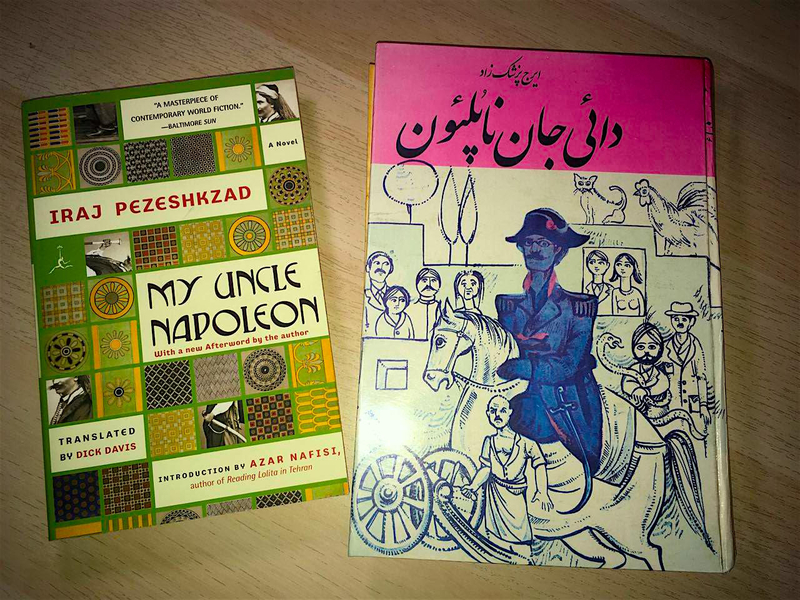 Let’s proceed with a metaphor: I tend to imagine my life as a “story” — my life story — as a “novel,” and the different languages that shape the story of my life are the main characters of that novel: English, French, Persian, Gilaki. The latter is a dialect to which I am exposed to a great degree, but only speak occasionally. I have provided adequate time and space to three of my languages, and my skills in them have been showcased in different social, cultural and professional contexts. Gilaki, though, has been left orphan, so in recent years I have made sure I take good care of it. It is widely used in the spoken form but not in the written one, so the resources that I have access to for using it are largely oral and verbal. My professional and social trajectories throughout my life have tipped the scales in favour of other languages — the taken-for-granted realities! So, how do I make sure that the different languages in my plurilingual repertoire are active and alive? As active characters in my life story, my languages have been gradually personified: they have grown up and become who they are. They have become mature, have made friends (other languages), and built up a community – the language community – embracing me and my languages. At times, my languages needed to be taken care of, to be caressed, to be fondled, to be coddled. The way I treat every one of them and the way they interact with each other, is closely and intimately connected to their identity, to my identity, to our identities: I am my languages and my languages are me. It is through engaging in a healthy and constructive “dialogue” that my languages are maintained. These four characters “play important roles” (literally and metaphorically) in the different episodes of my life story. There is no protagonist or antagonist in this story. I might be the mentor, but we are all the narrators: the narrators of our lived experiences. Obviously, it might not be feasible to use all my languages to the same degree at the same time. At times, some might take center stage and others might get short shrift. Yet, there is always a way to bring them closer to each other to strengthen the foundations of the community. Reading and listening to short stories and novels, is the strategy that I have drawn up and that has been working so far. Now, as the reader of this blog, how do you use the languages you know? What are those languages associated with in your case? Busch, B. (2015). Expanding the notion of the linguistic repertoire: On the concept of Spracherleben—The lived experience of language. Applied Linguistics, 38(3), 340-358. Llamas, C., & Watt, D. (2010). Language and identities. Edinburgh: Edinburgh University Press.